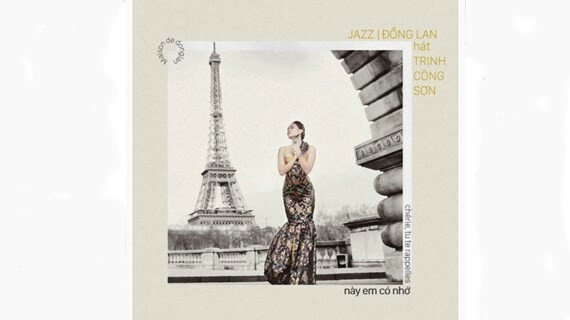 Vietnamese-French bilingual album featuring love songs of late musician Trinh Cong Son has been released. The new album aims at marking the 80th birthday anniversary of the late famous and beloved song writer in the country, and commemorating his 18th death anniversary (on April 1, 2001). Nine songs are performed in jazz style by singer Dong Lan who spent four years in translating Trinh Cong Son’s songs into French with the support of French poet Francois Brunetta. The album is available now in CD, digital, and black vinyl. In addition, many activities marking the death anniversary of musician Trinh Cong Son, have been also held in HCMC. A special concert featuring the musician's popular songs will take place at HCMC Opera House on April 2-3 with the participation of famous singers, such as Hong Nhung, Le Quyen, Quang Dung, Duc Tuan and Japanese singer Tokiko Kato who performed the song Diem Xua in Japanese. Many music products have been released , including MV Da Trang Ca by singer Duc Tuan, MV Dau Chan Dia Dang (Footprints in Eden) by singer Tan Son, Diem Xua by pianist Tuan Manh and a black vinyl of Trinh Cong Son’s works by singer Giang Trang. Music performances and painting contest commemorating the composer have been organized in HCMC book street from March 30-April 7. Galaxy film studio will start shooting a film on Trinh Cong Son directed by director Phan Gia Nhat Linh and producer Quang Dung. 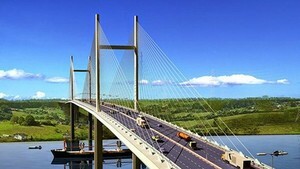 The movie is set to be released on the occasion of the anniversary of Trinh Cong Son’s death in 2021. Vietnamese musician Trinh Cong Son is honored on a doodle on google.com on the occasion of his 80th birthday anniversary. This is the first time Google Doodles has commemorated a Vietnamese talent.